Not too long ago, I received an email from a friend who passed along a forwarded message from a new WordPress user about how to go about starting up a blog and promoting it. Interestingly enough, this friend mentioned my name to this person (which is totally fine with me; I was surprised–in a good way–and honored). Well, eager to help and share, I typed up what could be considered a small e-book in response, and emailed it back. My friend asked me if I would consider making a blog post out of my reply; the funny part is, I had already copy-pasted the email I sent into a separate file, to do exactly that: share it with others. Thought #1: Which Blogging Site? Yes, WordPress is absolutely a great way to go. I’ve used Blogspot before as well, but it’s just not as strong in any aspect (layouts, ease of use, the fostering of community, the interactivity of the community itself, etc). Blogspot is sort of a has-been. I’ve only been on WordPress for the past 6 years and although I have my minor beefs with it (lol), I can say that it’s the best site I know of, hands down. I have not used Tumblr yet, so that might be worth exploring…or not? I know that it’s another big site, probably bigger than Blogspot by now, but probably not quite as big as WP. Once on WP, I would choose a layout that has some rich features (not all WP layouts (known as “themes”) have the same features across the board). I would choose one that has bells and whistles such as Tag Cloud, Archives (lists the months as their own links), the ability to choose text colors (not all themes do this), etc. I would also choose a theme that is clean and contemporary, with plenty of potential for images, but not anything too cludgy that would take too long to load. I would also ensure that it loads quickly on mobile phones and tablets. When choosing a theme, I grabbed mine and pulled up my site on all of them, to see what it would look like. Some blogging gurus advise the practice of writing a new post fairly regularly, especially if traffic is important to you (as it is for me, not for ego purposes, but to know that I might be making a positive impact). When posting, just be yourself. I tend to write a bit like I talk. Maybe my writing is a bit more flowery than my speech lol. But either way, it’s not too formal, but not too sloppy (I think) – I try to strike a good balance so that people can learn to hear the tone of my voice in my writing. I feel that that helps to make it more personable. But that’s just me. Before hitting that Publish button on a post, I definitely recommend tagging and categorizing the post. Categories and tags are two different animals. Adding either to a post is very easy; both can be done from the sidebar of the admin interface. There’s a little bit of etiquette when it comes to categories, although the recommendations vary a lot. Some experts recommend having no more than 5 or 7 categories, but I have a bunch (like 15-20?) Categories can be whatever you want them to be, as can tags. You can make categories up on the spot, or you can do what I did and wait and see where your blog goes, which direction it takes, before categorizing. From what I’ve learned, the rules regarding tags are much looser, with even fewer recommendations and fewer etiquette guidelines. There are few recommendations out there for how many tags you should add or what they should be so here, too, anything goes. My posts all have a ginormous number of tags (possibly too many lol). Tags are an awesome way for people to find you. While categories make search engines happy, tags seem to help other WP users navigate toward your page. Categories set up hyperlinks at the bottom or side of your blog page, but tags appear on every post, which is nice. I recommend using tags that people will search WP for. These can be very general and appeal to a broad audience. Once you get your blog up and running and you have a couple of posts (although you don’t have to wait until this is done in order to take this step!) get your blog on social media ASAP 🙂 Facebook seems to be the best in terms of traffic; if one of my posts has been posted by someone on Facebook, I’ll know immediately, because I’ll notice the (big, noticeable) jump in blog site traffic. As in, huge. Especially if it “goes places”, as I like to call it (i.e., gets shared around Facebook). Twitter has been really good to me too, although what’s popular on Twitter isn’t necessarily what’s a hit on Facebook or WP and vice versa all the way around. The audiences are different. Twitter does have quite a few more active, vocal chronically ill people so a compassionate, open-minded, understanding blog post will likely resonate with them. The Twitter audience is younger, more activist, and more open, whereas Facebook is generally a little older/more mature, tighter-knit, and calmer. WP is a mixed bag of both/each, and a bit more eccentric, too, which I like. If your blog contains a lot of infographics and whatnot, then Pinterest is also a decent outlet, although I’m new to it myself and I’m not sure how much traffic it generates. You can easily “hook up” your blog to Twitter, Facebook, Pinterest, LinkedIn, etc social media accounts using WP’s Publicize tool. It’s pretty cool 🙂 Every time you post, WP will automatically post to the social media sites you have hooked up at the time you hit the Publish button, so I would hook these up wherever you’d like before posting. Personally, I noticed a big jump in my website traffic when I joined Twitter. I created a Twitter account separate from my personal/general account just for the blog. It took off and became an entity of its own (!). I noticed an even bigger (yet) jump in traffic when I joined Facebook; I simply created a “Page” off of my personal account for my blog. The page does not reveal your real name on Facebook, if you wish to keep your personal Facebook Profile and your blog’s Facebook Page separate. Facebook’s traffic jump was even bigger than Twitter’s. I highly, highly, highly recommend interacting with the WordPress community. This provided my third big jump in traffic (categorizing my posts being my fourth big traffic jump). The WP community is wonderful and supportive. They’re kind and amazing people. Like and Comment on peoples’ posts, follow their blogs, visit them regularly. This not only strengthens your bond/friendship, but it also helps your blog stay on their radar. It’s a win-win! WP will aggregate all of your followed sites into a Reader function, right there on the WP site. It’s really easy to get to, and it will act as a Newsfeed of sorts, much like on Facebook or Twitter, where you see all the posts of all the people you’re following, in order, with the most recent on top. Liking someone’s post will get their attention and likely a visit to your blog; commenting is gold. Following is platinum 🙂 (Although I don’t recommend following just for the follow-backs. I know who my real followers are and who are sort of ghosts; it’s not necessary to be active on everyone’s blog all the time, but it’s good to “make the rounds” fairly often, because there’s so much excellent material and so many original thoughts out there. I will often reserve an entire Friday or Saturday night (or Sunday afternoon) just for reading the blogs of others!). Reblogging is double-platinum! Reblogging someone’s post is like sharing on Facebook or Twitter; at the bottom of individual posts, there’s a “Reblog” button; when you come across a post that particularly speaks to you and you wish you’d written yourself because it’s so awesome, you can hit the “Reblog” button and it will copy the beginning part of the post to a new post on your blog, complete with an automatic credit to the original author and link back to their site. It’s definitely not considered by the vast majority to be plagiarism; in fact, it’s an awesome compliment! When in doubt, ask permission; if they’ve allowed a “reblog” button to remain on the post, though, some might say it’s safe to assume the author allows reblogs of their material. Last but not least, I try to make it a point to respond to each and every comment left on my page. Thank-yous and genuine compliments go a long way. I thank everyone for kind words, insightful perspectives, interesting points raised, and eclectic theories, and so on. None of these replies are empty or less-than-genuine; I mean every one of them, more than I can say. The “trick” is that there is no “trick”. There’s only genuine. “Genuine” might not be the fastest way to grow a blog, per se–whether we’re talking about genuine writing (writing posts from the head and heart) or genuine commenting or genuine (non-gimmick) growth (with real, organic followers). But I’ve found it to be the best way to grow a blog. It’s not all about numbers; numbers are fun and measurable metrics, and they can provide clues about how popular or relatable a post is/was. But the important part is that it’s your blog–write what’s on your mind and in your heart. It can be a extremely therapeutic to write. There will always be people who agree with you, and there will be people who disagree with you. That’s OK. No one can please everybody, and I’ve been slowly going through the process to stop trying. Just because a post doesn’t get high numbers or a lot of Likes or Comments, that doesn’t mean that 1) it won’t later, or 2) that you didn’t just change–or even save–someone else’s life on a particular day. They might not always think to tell you, or they might not be ready to reach out, or they may not have a WordPress account or be in a position to set one up. Just know that any post has the ability to bring great benefit, at any time, even months or years later, even if you never know about it. I can’t reiterate enough the encouragement not to give into the sometimes-intense temptation to please everyone. Blog as it brings you benefit. When it stops being therapeutic, or it stops being fun, then take a hiatus. Your blog will stay put as long as you leave it up, and you can always come back to it later. Some sites will advise a blog-writer not to go on hiatus, only to come back suddenly, with five posts in one day. They stress the benefits of consistency; so if you go on hiatus, or you find yourself encountering inspiration in spurts interspersed with drier periods, then you can always schedule posts for publishing, for different days and times, so that the time in which your posts are published and appear on your blog is more evenly spaced apart. I too use WordPress for my art website. I would add only that unless someone is blogging with a specific goal (build something that can either be published later or provide a platform for promoting some other sort of work) then feel free to ignore all the blogging rules and advice out there, including anything I say. It’s not really the same as a journal either, since everything written enters the public sphere and it’s important to keep that in mind. But absent promotion or a goal, a blog is basically a public version of a journal. Write about the things that interest you. Configure your blog the way you want it to look. And write or post as you feel you have something you want to say, not according to any sort of schedule. I also rarely even look at traffic statistics, but that may just be a personal quirk. I’ve noticed most people seem to have at least some desire to know how many people are reading their posts. 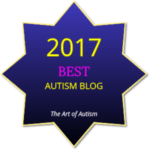 I’ve also realized that my choice of blog theme (just about the plainest one available though it does support all sorts of widgets) probably has something to do with my particular autistic sensitivities. I have an extreme affinity for words and language while I’m very visually sensitive. So I picked a theme that highlights basically nothing but the words while being very visually calming. It’s probably not a theme that would appeal to a whole lot of other people, but it suits me. And your blog should always suit you first. Truth! :)) Thank you for adding your thoughts! I really appreciate them, and I’m sure they’ll be helpful and useful to so many others, too. And I’ve scheduled future posts too when I’ve had a burst of writing at times. It’s a useful feature. I think the stats thing is just a personal quirk. I’ve never assumed others have an ego thing going on, though some make it clear from things they say that it is about ego. For some reason, the numbers don’t really matter to me. Of course, part of it may also be that I’m usually surprised when someone else finds something I wrote helpful or especially interesting. I’m glad when they do and I publish my thoughts and discoveries on things like celiac primarily for that purpose. But everything else I pretty much write for myself. 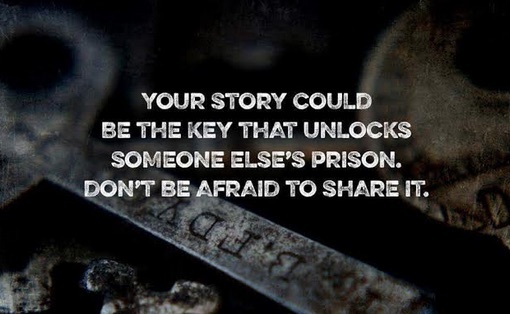 Writing publicly, even when it’s not widely read, creates a different frame of mind than private journaling. And I find that different way of thinking (which is really what most of my writing reflects) helpful. Well done Laina. Each point is spot on in our thoughts. We never know the impact or effect we have on others. The “tags and categories” part is what I have always had trouble with. To make it really work (at least according to common internet advice), I’d have to stick to a single topic for each post, something I can do sometimes, but not when I’m discussing writing projects (mine or my twin’s) or even just what I’ve been doing in everyday life. No problem, I do have a question about my blog set up. Thanks! 👍 what does the 4 leaf clover stand for? How do I include a drop down menu for the different title pages I have? D) any combination of the above? I want to add sub categories to the existing pages I already have in the menu. Ex. Poetry Page needs to contain sub-categories like Love, Nature, etc. Ex. 2 Personal Development Page needs to contain these sub-categories, Fitness and Health, Emotional Well-being, Mental Health, Financial Literacy, Couples Growth etc. Ex. 3 Day Trading must have sub-categories in order for me to break the information down into sections for organization and comprehension purposes. If its all jumbled up people wont understand and neither will I, then my gift to the Universe will be obsolete. I need help. 😊 Me too! Blue is cool!